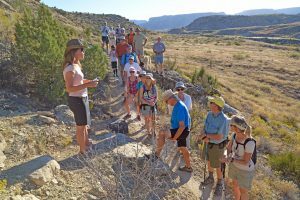 Colorado West Land Trust began with a small group of farmers in 1980 who wanted to protect the farmland in Palisade from being quickly built out during the growing oil shale boom. The team wasn’t sure how to shield fruit producing land from development, but they wanted to try at least. Three of the founders completed the conservation process in 1982 and very slowly grew the amount of land under conservation to 64,000 acres, present day. Of those acres, 800 are fruit producing parcels located in Palisade, with the hopes of bumping that number up to 1,000 acres in the next few years. Rob Bleiberg, the current Executive Director, joined the land trust in 1996. They are now up to six paid employees who manage tasks such as coordinating projects, researching and applying for grants, reaching out to potential clients, and community outreach and fundraising efforts. One of the most well-publicized efforts of Colorado West Land Trust in recent years has been the Three Sisters Project. The area is the three peaks located at the Tabegauche (Lunch Loops) trail system. 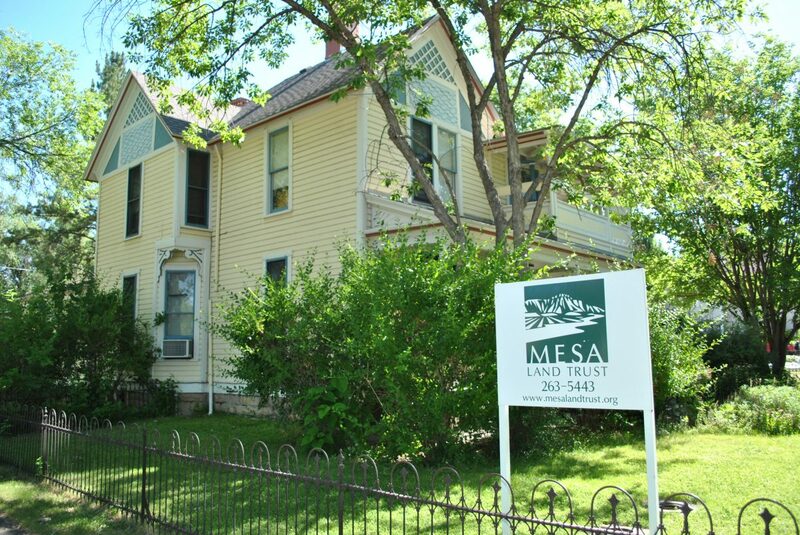 The Three Sisters Project was an unusual undertaking for the organization because it was the first piece of land Mesa Land Trust purchased. 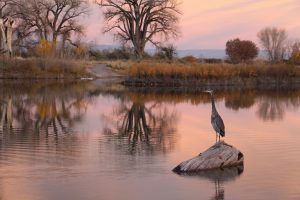 Some of the funds came from Great Outdoors Colorado, some came from a land swap coordinated by the City of Grand Junction, and the remainder came from community-minded individuals who donated to the cause. The purchase of the original 130 acres completed in 2012 and an additional two properties acquired in 2014. While the land for this project was purchased and safely set aside for recreation ventures for the future, work has not completed in this area. Colorado West Land Trust is gathering feedback on a plan to connect the riverfront trail out to the Three Sisters property, and a re-design of the current parking lot/trailhead area. Another example of a conserved recreation area, is the local favorite spot, Snooks Bottom, in Fruita. The Fruita City Council wanted the land available for future generations to enjoy, so they went through the process, preserved the area, and it is now a public park for everyone to enjoy! Another exciting project that has recently completed is the protection of a piece of land that is now part of the Colterris Winery and Tasting room. Before selling the property to the High family, the Christiansons conserved the area, assuring that it will never be developed. 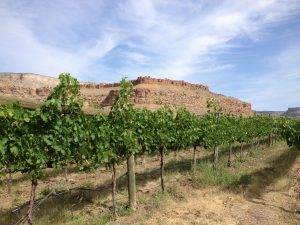 Colterris’s location on River Road, east of Palisade, is the first winery/tasting room in the Grand Valley to be conserved, helping assure the future of the fruit and wine industry that is so vital to the community’s economy and quality of life. Other projects in the making are two ranches located on Glade Park, with a total of 1,500 acres that will soon be conserved. There is no single reason that landowners decide to start the process to protect their land for the future; some people want their property never to be developed, some want to preserve it for their future generations to continue farming it, and some want to share it with the public after they are gone. The conservation process usually takes three to four years (at minimum) to complete, and it all starts with a simple conversation. During that first encounter, the staff at Colorado West Land Trust speaks with the landowners to see what they are looking to achieve and to make sure it will be a good fit for everyone involved. The most time-consuming portion consists of research and creation of legal documents. Colorado West Land Trusts considers different grants and programs available for the properties; these include funds from Great Outdoors Colorado, USDA, and other farm programs. Appraisals and legal documents need to be formed and reviewed and once all of that is complete, signed. While human contact is an integral part of Colorado West Land Trust, so is their technology. The Land Trust wouldn’t be able to communicate with all their investors, contributors, and clients. They wouldn’t be able to complete the necessary research or submit grant applications. That is why they choose to partner with Networks Unlimited. Over ten years ago, their server crashed, and they had no one to support them to fix it. One of their former employees knew Networks Unlimited’s Vice President, Preston Thornburg and called to see if he could help. The rest, as they say, is history. 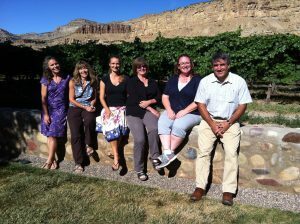 Colorado West Land Trust’s staff appreciates the close working relationship that has developed over the years. Manager of Finance and Operations, Allison Rehor, enjoys knowing everyone on a first name basis and not being pushed into pricey options that don’t fit their business needs. “Our business is a bit fussy because non-profits are always on a limited budget. Networks Unlimited has never tried to oversell us on anything. They are looking out for our well-being.” States Rehor. Being able to work with and support local businesses is an essential part of both the business’s values. The partnership has been an incredible experience to watch the growth of Colorado West Land Trust and help them in their endeavors.